Home SharePoint 2010 SharePoint 2013 SharePoint 2016 How to Delete Drop Off Library in SharePoint 2016? 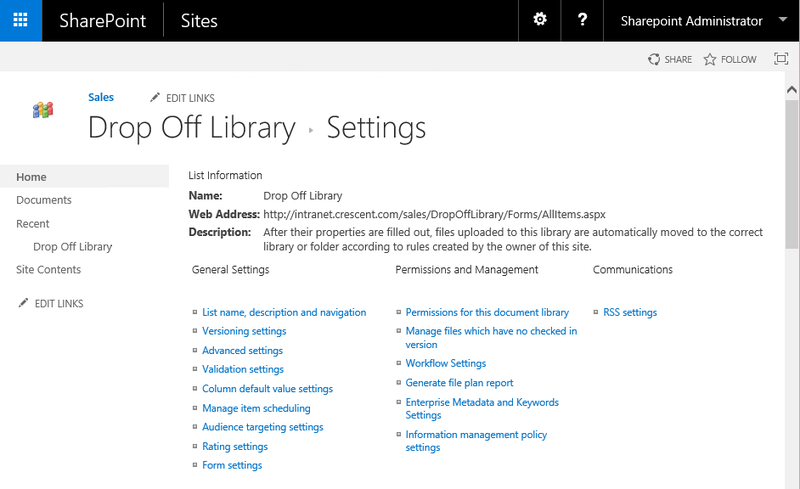 When content organizer feature is enabled, it creates "Drop Off Library" document library in your SharePoint site. But disabling the feature does not remove the library! Also you can't simply delete "Drop Off Library" because the "Delete this document library" link is not available when you go to "Library Settings". What is Drop off Library in SharePoint? Drop off library with content organizer feature is basically a way to set up one folder for users to upload files to and it will automatically route the files to the appropriate locations that you have configured using content organizer rules. Now, if you go to drop off library's settings, you'll find "Delete this Document Library" link. 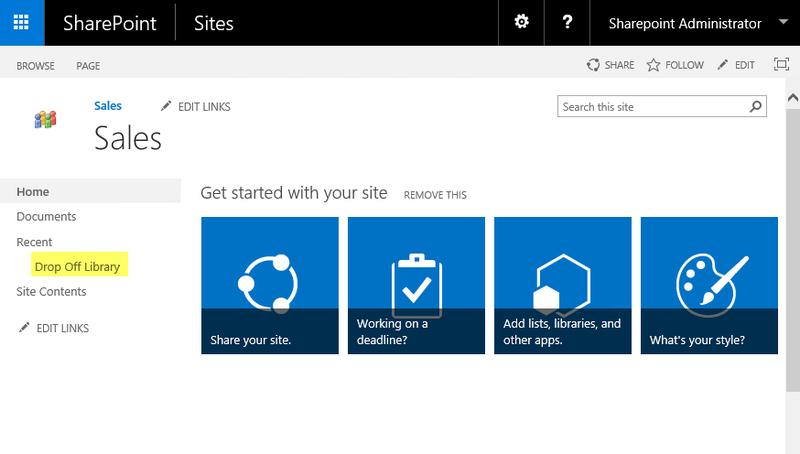 Simply click on the link and confirm the prompt to remove the drop off library from SharePoint. So you've disabled content organizer feature but could not delete drop off library? Here is the PowerShell script to remove drop off library from SharePoint site. Lets disable Content Organizer feature and delete drop off library in all sites of a SharePoint web application using PowerShell.